Class 2 misdemeanor: For possessing (or purchasing or receiving) less than 3,000 packs of cigarettes with the intention to sell or transport. 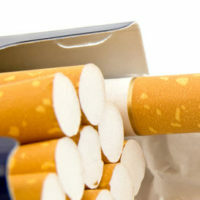 Additionally, the defendant can face a fee of up to $500 per cigarette pack. Class 6 felony: For possessing (or purchasing or receiving) more than 3,000 packs of cigarettes with the intention to sell or transport. The defendant faces a fee of up to $2,500 per cigarette pack. Each pack of cigarettes is considered a separate offense, meaning that a defendant may be facing many charges of illegal trafficking and hundreds of thousands or millions of dollars in fines. According to Virginia’s State Crime Commission, up to 20,000 cartons of cigarettes are illegally trafficked each week, resulting in $55 million in sales and $10 million in profit. Also according to the Virginia State Crime Commission, certain gangs use the profits from illegal cigarette trafficking to fund other illegal endeavors, such as human trafficking prostitution rings. As such, prosecutors, jury members, and judges are heavily inclined to reach a guilty verdict and throw the defendant behind bars for as long as possible. However, an experienced attorney, who has a history of successfully representing clients who have been charged with trafficking, will be able to mount a defense worthy of defeating the state’s best prosecutors. Cigarette trafficking charges are incredibly serious and deserve the full attention of an experienced Leesburg, Fairfax, Winchester, or Manassas law office. Call the lawyers of Simms Showers, LLP today at 703-771-4671 for help with your case.